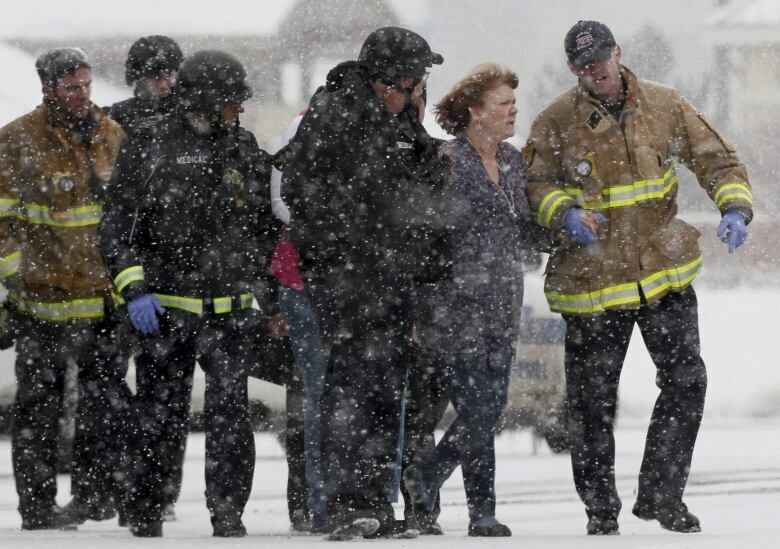 Three people were killed and nine others injured after gunfire ripped through a Planned Parenthood clinic in Colorado Springs, Colo., during an hours-long standoff that unfolded Friday afternoon. Officials announced the casualties — one police officer and two civilians — at a brief news conference Friday evening. The officer has been identified as 44-year-old Garrett Swasey. He was a member of the University of Colorado-Colorado Springs Police Department. 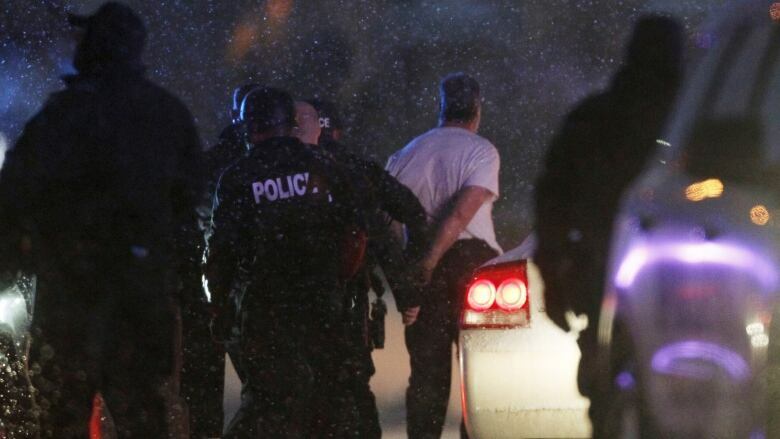 The university said Swasey had gone to the clinic to support Colorado Springs police after he learned of the shooting. Swasey was a six-year veteran of the department. Colorado Springs Mayor John Suthers called the incident a "terrible, terrible tragedy" that could have been much worse. "We mourn the loss of two civilians and we mourn the loss of a very brave police officer," he said. The five other officers and four civilians injured in the incident are in "good" condition, police said. The standoff involved at least two exchanges of gunfire and lasted about five hours, before the gunman was taken into police custody. "We did get officers inside the building. They were able to shout to the suspect and make communication with him, and at that point they were able to get him to surrender and take him into custody," said police spokeswoman Lt. Catherine Buckley. He was apprehended at 4:52 p.m. MT. 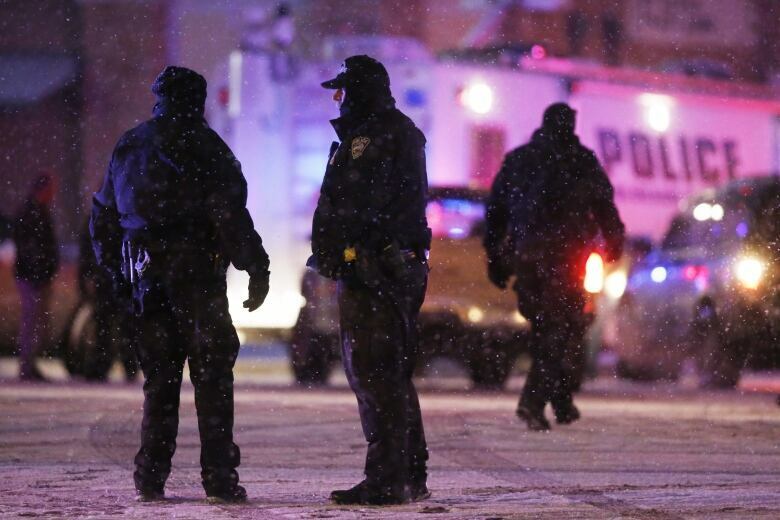 A number of people were escorted out of the building during the standoff, which played out under a steady snowfall. At a news conference shortly after the shooter's arrest, police said they were dealing with a "huge crime scene" that would take hours, if not days, to comb through. "At this point, I have as many questions as you do," Colorado Springs police Chief Peter Carey told reporters. Authorities said they don't know the motive of the gunman or whether the shooter had any connection to Planned Parenthood. The name of the suspect was not released. "We don't have any information on this individual's mentality, or his ideas or ideology," Buckley said. Planned Parenthood released a statement saying it did not know the full circumstances or motives behind the attack, or whether the organization was the target. "We will never back away from providing care in a safe, supportive environment that millions of people rely on and trust," Vicki Cowart, president and CEO of Planned Parenthood Rocky Mountains, said. The shots sent people inside the clinic racing for cover. Jennifer Motolinia hid behind a table inside the clinic and called her brother, Joan, who said he heard multiple gunshots in the background. "She was telling me to take care of her babies because she could get killed," Motolinia said of the mother of three. He rushed to the clinic but was frustrated because a police barricade kept him from getting close. "People were shooting for sure. I heard someone shooting. There was a lot of gunfire. She was calm. She was trying to hide from those people," he said. Police cordoned off the clinic, nearby medical offices and a shopping centre and told people to shelter in place. Denise Speller, the manager of a nearby haircut salon, said she heard as many as 20 gunshots in the span of less than five minutes. 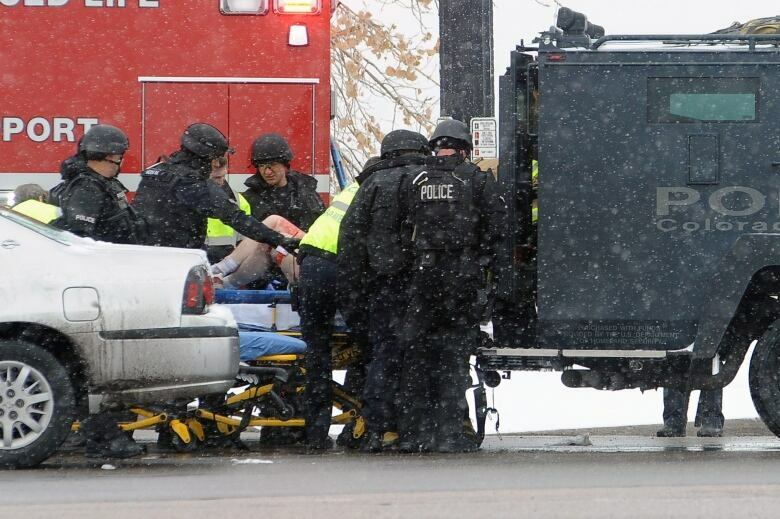 She told the Gazette of Colorado Springs that she saw a police cruiser and two officers near a Chase Bank branch, not far from the Planned Parenthood facility. One of the officers appeared to fall to the ground. The other officer knelt down to render aid and then tried to get the officer to safety behind the car, she said. Another officer told Speller to seek shelter inside the building. "We're still pretty freaked out," Speller said by phone. "We can't stop shaking. For now we're stuck back here not knowing." Ambulances and police vehicles lined up at a nearby intersection and police told people via Twitter to stay away from the shooting scene because it was not secure. Shelley Satulla said she saw five or six people put on stretchers and placed in ambulances lined up next to King Soopers shopping centre near the clinic. Later in the afternoon, other people were able to walk out of the shopping centre area accompanied by police officers toward a line of ambulances. The Planned Parenthood clinic is located next to a building that houses several medical offices. The facility provides abortions, screening for sexually transmitted diseases, pregnancy testing and other services, according to its website. Planned Parenthood has been a political flashpoint in recent weeks as several Republican-controlled states tried to cut the group's funding. The move came months after an anti-abortion group released video it alleged featured discussions about the illegal sale of fetal tissue. U.S. Congress has launched an investigation into the footage. Colorado Springs is located about 110 kilometres south of Denver.